Spring is almost here! Break out your favorite florals to pair with sparkling diamonds! Flower crowns are a classic away to celebrate the season. Switch up your look with a new handbag and pair it with a glowing 14 kt. 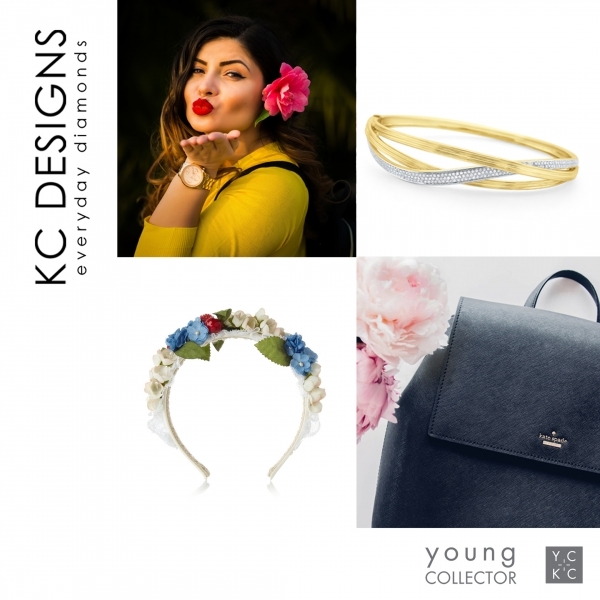 yellow gold & diamond bangle from KC Designs.